Coal sector reform and fine-tuning of CIL operations are key, while imports for the economy as a whole are not going away anytime soon. Despite robust economic growth, low inflation and strong consumption, India is lately facing macroeconomic headwinds. 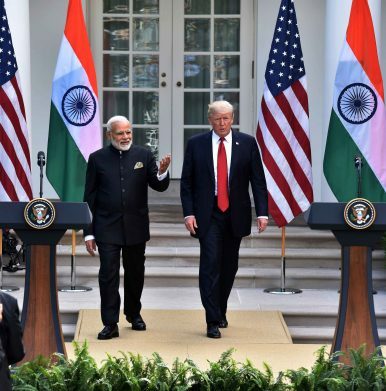 The crude is on a boil, the US-China trade war has created global uncertainty, the rupee is rebalancing itself after a long period of stability, and the trade deficit has been widening in the financial year 2018-19. While a lot of factors are global and impact emerging markets other than India too in general, trade imbalance is one area where questions have been asked of the Narendra Modi government. In August 2018, Indian imports topped $45 billion, growing 25 per cent in dollar terms and 36 per cent in rupee terms over August 2017. 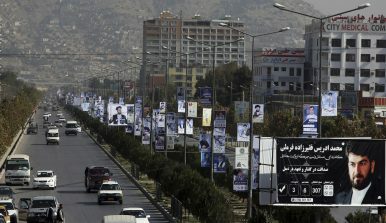 Afghans are scheduled to head to the polls on October 20 to cast ballots in elections for the lower house of parliament and district councils. The election, originally slated for 2015, is more than three years late, and with less than a month to go, it is beset with crises big and small. Just days after Maldivians poured into the streets of the Maldivian capital, Male, to celebrate the defeat of the archipelago’s autocratic President Abdulla Yameen in the September 23 presidential elections, the mood in the country turned somewhat somber. 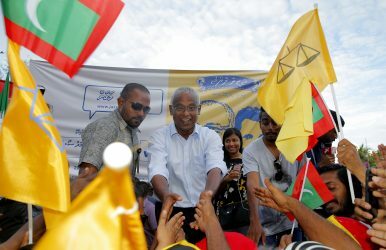 After initially conceding defeat to joint opposition candidate Ibrahim Mohamed Solih, Yameen appeared to be preparing to subvert the election verdict to hold on to power. Such fears gathered momentum with the Election Commission dragging its feet on announcing the final results. Besides, Yameen was reported to be planning to challenge the verdict in the Maldives’ High Court and had apparently instructed loyal police officers to prepare reports backing up his claim that the election was rigged in his opponent’s favor. “People were understandably nervous, and on the edge, as to whether President Yameen would relinquish power without trying something through the courts [to negate the election result],” Dr. Farah Faisal, former Maldivian ambassador to the United Kingdom told The Diplomat. A photomontage shows a businessman against a backdrop depicting the digital age. The Financial Times reports today that earlier this year Stephen Miller, president Trump’s hard-line advisor, had tried to convince the president to ban all Chinese students from entering the US. It’s the latest point of tension between the two countries that has intensified in recent months. A Chinese national was arrested by US officials last week on suspicion he was spying for China while in the US on a student visa. President Trump has voiced concern that Chinese students are acting as spies, according to news reports. And of course, the US and China are currently engaged in a trade war. Any change in the US’s treatment of Chinese students could have drastic effects on US colleges and universities. Chinese nationals make up the largest group of international students in the US. They account for roughly 30% of all foreign students. There were about 340,000 of them in July 2018. The revised free trade agreement between the United States, Canada and Mexico, christened USMCA, has big implications for Donald Trump’s trade war with China. Both the US and China have leveled taxes on billions of dollars of each other’s imports as they jockey for economic power. Now that Trump has found his way to agree with one set of allies, some hope he will move forward to unify a trade bloc against China through the Trans-Pacific Partnership, a global deal that includes both Canada and Mexico. Intensive engagement with China, which has been a foundation of U.S. policy since President Richard Nixon’s 1972 visit, is under attack by critics of U.S. policy who seek to disengage the two countries. China’s growing strength, its perceived challenge to U.S. global leadership, its economic mercantilism, and other actions that are seen as threatening have persuaded many American policymakers and analysts that engagement no longer serves U.S. interest as we head into a period of intense rivalry. The Trump administration, legislators, and corporate and academic institutions are in the process of abandoning long-standing cooperative arrangements and programs affecting trade, investment, students on American campuses, funding of academic programs, media, and military interaction. Donald Trump and Xi Jinping both have praised their relationships with each other and expressed support for the healthy development of U.S.-China relations. Despite these positive public comments, the relationship has deteriorated further and faster than at any point since the establishment of official ties in 1979. Each country blames the other for the downturn and believes the other bears responsibility for reversing the negative trajectory. Barring presidential-level intervention to change course, the relationship likely will continue to deteriorate and, in so doing, increase the risk of future confrontation or conflict. Enmity is not preordained. Another choice would be for both leaders to work together and establish principles for managing U.S.-China rivalry. Such an effort would not seek to stifle competition, but rather to build guardrails around the relationship so that competition could occur within accepted bounds. This, in turn, would create conditions more conducive for both sides candidly to address concerns about the actions of the other. The inauguration of Tanzania’s first overpass on September 27 serves to honor more than Patrick Mfugale, the talented head of Tanzania’s road agency after whom it is named. A prominently placed plaque also heralds the new roadway as “a token of friendship between Japan and the United Republic of Tanzania.” It’s timely reminder that, amid agitation about Chinese investments in Africa, Japan is also vying for influence on the continent. The roots of significant Japanese interest in Africa can be traced to the end of the Cold War when Japan moved to fill the void left by the great powers. 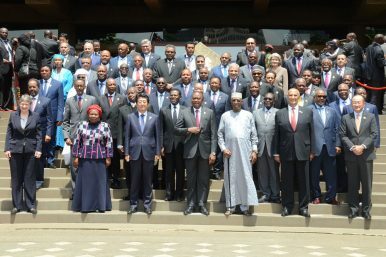 What followed was the first Tokyo International Conference on African Development (TICAD), a powerful statement of Japan’s commitment to the African continent which in turn prompted similar conferences by other “middle powers” including China, India, Singapore, and Turkey. On September 14, the Russian Ministry of Defense reported on a landing exercise in Kaliningrad Oblast—Russia’s Baltic exclave, sandwiched between Poland and Lithuania (Mil.ru, September 14). The exercise apparently involved up to 25 surface ships, boats and supply vessels of the Baltic Fleet, over 30 planes and drones, more than 30 BTR-82A armored personnel carriers and some 1,500 troops. These drills were evidently an important part of a comprehensive naval exercise that might have started already on September 4 (Mil.ru, September 4, 13). The participating Naval Infantry personnel were deposited on the shore from large landing ships the Alexander Shabalin, Korolyov and Minsk as well as a number of amphibious landing craft, including the Michman Lermontov, Lieutenant Rimsky-Korsakovand Denis Davydov. Corvettes, missile boats, attack aircraft and attack helicopters supported the practiced landing form the sea and air. Prior to this, a similar exercise, but on a smaller scale—possibly a rehearsal for the forthcoming maneuvers—was reported on September 9 (Mil.ru, September 9). At the Pyongyang summit between North Korean leader Kim Jong Un and South Korean President Moon Jae-in, held from September 18-20, 2018, a declaration was signed by the ranking military officials of the two Koreas. This agreement is intended to prevent military confrontation on the Korean Peninsula. Specifically it establishes buffer zones, based on the Military Demarcation Line (MDL) (a.k.a. the Armistice Line) on land, and on the Northern Limit Line (NLL) at sea. 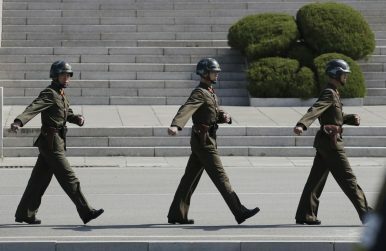 Optimists see the agreement as a useful step toward better relations; pessimists see it as a step too far, given the continuing military tensions on the Korean Peninsula. A balanced appraisal suggests that it is too soon to decide. Israeli Prime Minister Benjamin Netanyahu works well with Russian President Vladimir Putin, and the two countries’ air forces maintain a deconfliction channel to prevent accidents. Crude oil exports from the U.S. are rising, reaching 2.2 million barrels per day (mb/d) in June 2018, triple the 2016 average and the highest ever for the nation. More than 90 percent of crude exports this year have originated on the Gulf Coast, generating jobs, capital and income for ports in Houston and Corpus Christi. There’s no such thing as an “American” car anymore. Thanks to globalization, almost every car sold and built in the US is an amalgam of parts from a supply chain stretching from Bangkok, Thailand, to Smyrna, Tennessee. As a result, US president Donald Trump’s ongoing trade war with China and Europe, and his administration’s contentious renegotiation of the NAFTA free trade agreement with partners to the north and south, is putting enormous pressure on American car companies. In August, China slapped a second round of tariffs on automobiles produced in the United States. At least a quarter million automobiles expected to be imported into China’s car market, the world’s largest, will now be far more expensive. Why? Well, for starters, I’ve never fully understood what “world order” means. Plenty of authors use the term—the statesman Henry Kissinger even wrote a fat doorstop of a bookwith that ponderous title—and I confess that I’ve used it myself on occasion. Yet it remains a vague and fuzzy concept on which there is little consensus. World leaders are gathering at the United Nations to discuss how to deliver on development for all that is economically, socially, and environmentally sustainable - “The 2030 Agenda for Sustainable Development," and its 17 Sustainable Development Goals (SDGs). Artificial Intelligence (AI) and Blockchain is the current craze right now. Why is AI important? Which AI Blockchain projects are there — and which of these will you need to focus on? In this article expect a concise list of the most noteworthy AI Blockchain projects currently out there. 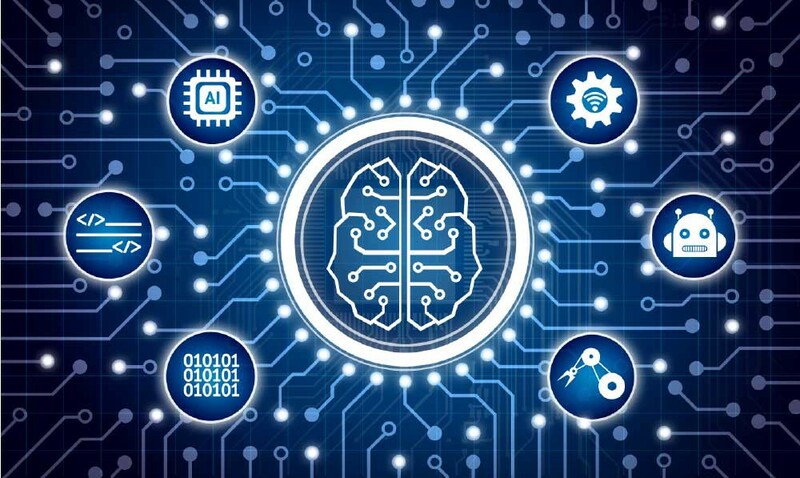 The goal of this article is not to advertise what makes these projects great, instead its to compile a short list of which cryptocurrency projects employ AI technology. Why Blockchain and AI technology? In the past we have seen a hype cycle ensue around several concepts in the cryptosphere. For example, following the huge success of Dash we have seen a tremendous demand for Masternode-based cryptocurrencies as the promise of passive income was too big to ignore. Another popular feature was anonymity as we saw coins like Monero (XMR) and Verge (XVG) rise to tremendous heights as well. For the next hype cycle it is expected that AI will take charge as investors will turn their eye towards this winning combo instead. The White House has reportedly made it easier for U.S. Cyber Command to conduct offensive cyber operations, leading some observers to fret that it will create undue risks of escalation. Those concerns might be overblown. A certain distaste for Facebook’s chief Mark Zuckerberg underlies much of the recent reaction to the company’s annus horribilis. Just last week, the company announced a data breach affecting 50 million people, right on the heels of Instagram’s prominent founders leaving Facebook. Whether it’s a hack or a corporate battle, Zuckerberg does not get the benefit of the doubt, let alone the awe and reverence afforded to comparable company-creating CEOs like Steve Jobs and Jeff Bezos. Not a week goes by that someone doesn’t mention Zuckerberg’s 14-year-old messages about his first 4,000 users: “they ‘trust me’” as proof of his venality. In opposition to Zuckerberg, Instagram’s Kevin Systrom and Mike Krieger and WhatsApp’s Brian Acton and Jan Koum, who left before them, somehow become deeply sympathetic characters in their struggles to protect their beloved products. This is despite all of them having made at least hundreds of millions of dollars selling to and working for Facebook. India’s future lies in envisioning an era of big tech — technological goals so audacious that they inspire awe and stir the youth to rise up to the challenge. Along with the moon mission, India must launch even bigger and outlandish big tech goals like reaching Venus, zero-emission megacities, and eliminating one vector-borne disease a year. “It is impossible to construct an engine which will work in a complete cycle, and produce no effect except the raising of a weight and cooling of a heat reservoir.” The reader may not be faulted for concluding that this is one of those perfunctory disclaimers in an automobile, refrigerator, or a pump-repair manual. Perhaps written uninspiringly by a dreary mechanic plodding through a listless day at work. In that case, you may be surprised to learn that this single statement is pivotal to explaining profound conundrums such as why time seems to only move forward, how even black holes can emit radiation, the nature of life itself, and why it is extremely unlikely that Humpty Dumpty will spontaneously come together after the fall. Transported in parts by bicycles and bullock carts to the launch site, assembled lovingly by hand for the countdown, unknown to all but a few, what went up was India's first rocket. What it left in its wake was a trail that redefined our modern history. Women are routinely underrepresented in peacekeeping operations, even though their participation has been shown to improve mission effectiveness and advance stability. The Donald J. Trump administration is seeking to make UNpeacekeeping more efficient and effective. As part of its reform efforts, the administration should increase women’s representation in peacekeeping operations. Women are routinely underrepresented in peacekeeping operations, even though their participation has been shown to improve mission effectiveness and advance stability. Countries around the world deploy women to the United Nations at levels far lower than they are represented in domestic security forces. To address this gap, the U.S. government should support a financial premium given by the United Nations to police- and troop-contributing countries to increase the training and deployment of female peacekeepers. Manufacturing plays a major role in the U.S. economy with 11.6 million employees producing goods that we consume domestically or export abroad.